Capital expenditure, also called capital expense or capex, is money that a company uses to buy, maintain, and improve fixed assets. A company’s fixed assets come in the form of buildings, land, vehicles, and other work equipment. The budget is either used to buy new assets or extend the life of existing assets. Checking out valuable capital expenditure budget samples and templates will help you further understand what it is. And if you want to learn how to create one, you can simply follow the steps that we have prepared here for you. 1. Identify the company’s need for a capital expenditure budget. 2. Make a list of the fixed assets. 3. Is there a need to purchase new assets? 4. Calculated the cost projected for the capital expenditures. 5. Put all the related data you have collected in a single sheet. Capital expenditure is different from that of operating expenses or opex because operating expenditure is money spent on ongoing expenses for daily work operations. It is important for one to know the difference between the two so that the correct budget can be created. Below are some steps that you can follow to help you create a capital expenditure budget. As defined above, capital expenditure is money spent on the fixed assets that the company owns. If your business has any fixed assets to purchase, maintain, or improve, then you definitely need a capital expenditure budget to have that done. What are fixed assets? Fixed assets can be a building, a land property, vehicles, and equipment that the company owns and uses for its daily operations. Make a list of all these fixed assets and categorize them accordingly. If that asset requires maintenance then put in under the maintenance category. If you need a certain asset improved, decide whether it is necessary to buy a new one or just upgrade some parts of the existing asset. If you don’t know what things are considered as fixed assets then you may look them up online. Purchasing a new asset may be good, but it also may be costly. Consider first if it is really necessary to purchase a new one or just upgrade and maintain the existing assets. This will help you create a balanced budget. Also take a look at your current revenue to help you decide if the step you’re taking still fits your budget. Calculate the projected costs using the data that you have gathered. This way you’ll be able to find out how much in total you need for the acquisition, maintenance, and improvement of fixed assets. Before you make any final decision, it is best to put all the data you have collected in a single sheet or spreadsheet. Doing so will let you see the whole data clearly allowing you to make good decisions. Take a look at budget spreadsheets. 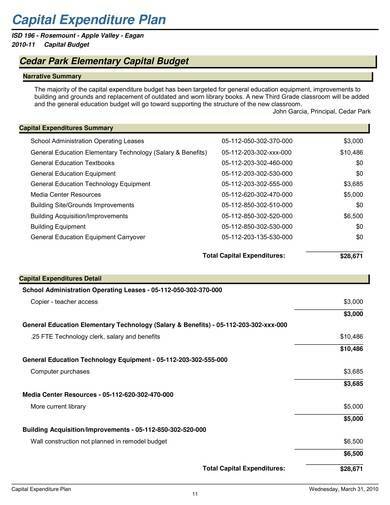 The sample above shows the capital expenditure budget allotted for an elementary school. A breakdown of the expenses is provided in detail. Main sections of the budget are highlighted and underlined so that they can be easily seen and so that the layout of the budget plan is kept neat and organized. 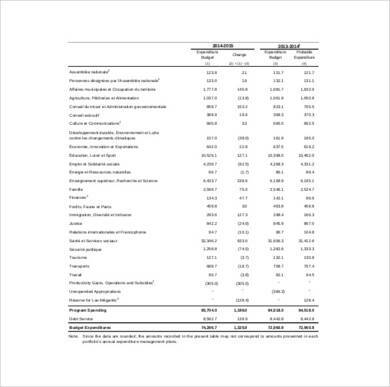 Shown in the sample is the narrative summary, capital expenditures summary, and the capital expenditures detail. 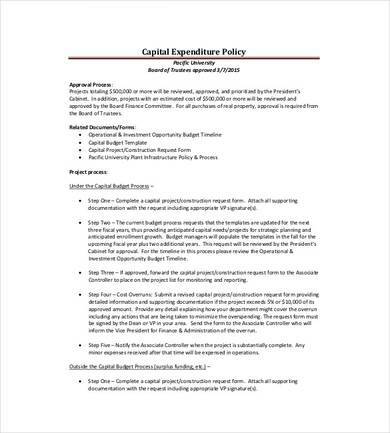 The capital expenditures budget proposal sample is a two-page budget proposal that is divided into three main categories. Each category has its own line items and corresponding costs, which is all contained in the first page. The second page provides the details of line items or the line items description. 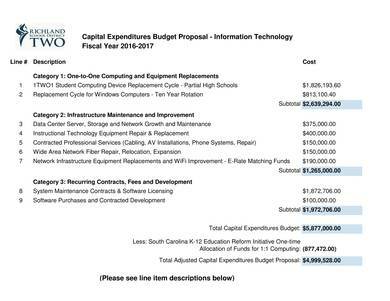 Use this sample as reference if you are doing a capital expenditure budget that has a lot of items involved. In the sample above, the budget of the current year is placed beside the capital expenditure budget of the previous year so that a comparison can be made easily. The sample also provides a guide on how to do a capital expenditure ability. Use this sample if you need a guide to help you create a capital expenditure budget for maintenance. 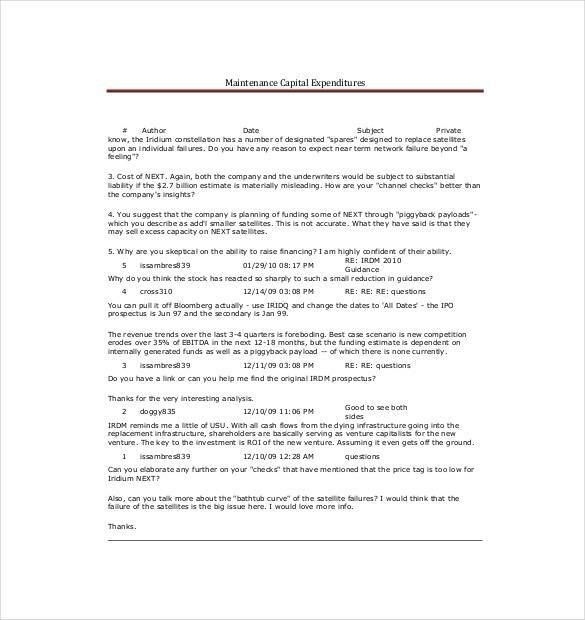 Contained in this sample are relevant information, like the formula to compute maintenance capital expenditures and a sample situation on how the computation is done. The sample capital expenditure budget policy above is approved by the Board of Trustees of the Pacific University. It includes the purpose and scope of the capital expenditure policy, as well as the definition of the capital assets involved. 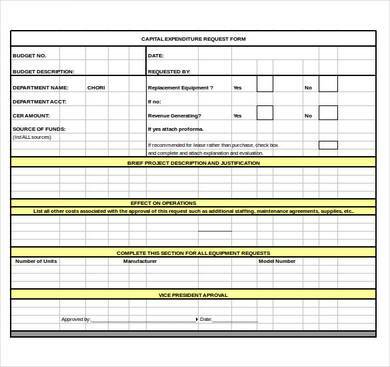 Use the capital expenditure budget request form to easily and conveniently request for a capital expenditure budget. The sample is available in Excel which makes it easy to use and edit. The request form includes the date, the budget number, the budget description, the name of the person making the request, etc. If you need help with your capital expenditure budgeting, you can always rely on the samples above to help and guide you with it. You can also get help from other samples and templates, like free project budget samples, monthly budget samples, and yearly budget samples.